As with everyday life, the summer season passed by too quickly. In south-central Alaska, summer was beautiful, fall was wet, and winter is around the corner. With the approach of darkness comes the Bed & Breakfast Association of Alaska (BBAA) Conference. What a great opportunity, B&B owners statewide get together to learn about new business practices, new technologies, and better ways to improve our guest experiences. This year it was held in Homer, Alaska. What a treat. As a B&B owner, we don’t get out much over the summer! Finally the day was here, time to drive to Homer. Time to jump in the car and drive south on the Seward Highway to Turnagain Arm. With every mile anticipating what we will see. 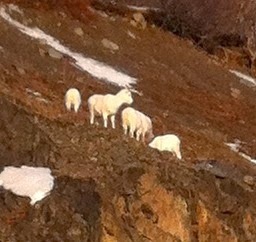 Will the Dahl sheep be out? Will the tide be in or out? Is it too late for salmon? What about beluga whales? Have the birds started migrating? All these unknowns that will be answered as part of our driving adventure. We didn’t even get to Potters Marsh and the adventure began..white geese with 5 gosling. They were so beautiful and graceful. We kept driving and next thing we see was a majestic bald eagle soaring over the water looking for breakfast. All this and we were not to Girdwood yet! 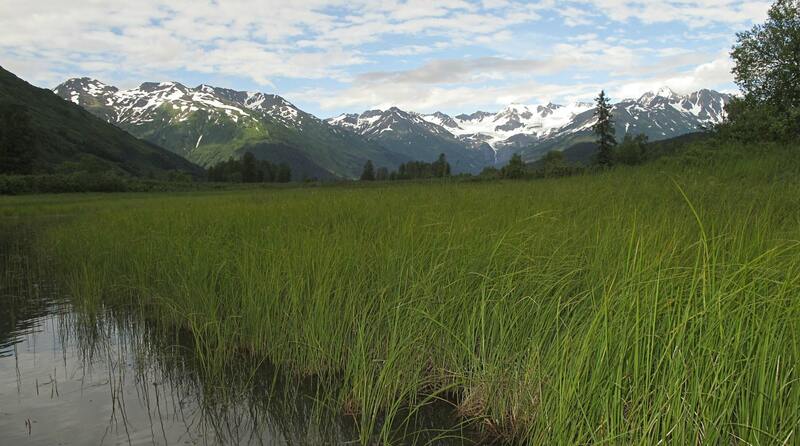 As we circled Turnagain Arm along the Seward Highway we and passed the sign, “Welcome to the Kenai Peninsula”. What a sight. After a few miles going uphill we entered what locals call “the pass”. It is famous for it’s mountain peaks and extreme conditions. We looked up and there it was….termination dust. In other words, the snow was on the mountain tops. Winter has landed in “the pass”. Get ready Anchorage, winter is on its way. We kept heading south talking and enjoying the majestic views. The beautiful blue color of the Kenai River is always breath-taking. It was hard to believe how much water was there, we did get a lot of rain. The fisherman did not mind. They were in boats AND lined up along the banks. Loom out salmon, here they are. After the adventures of the day we arrived at Timber Bay B&B. 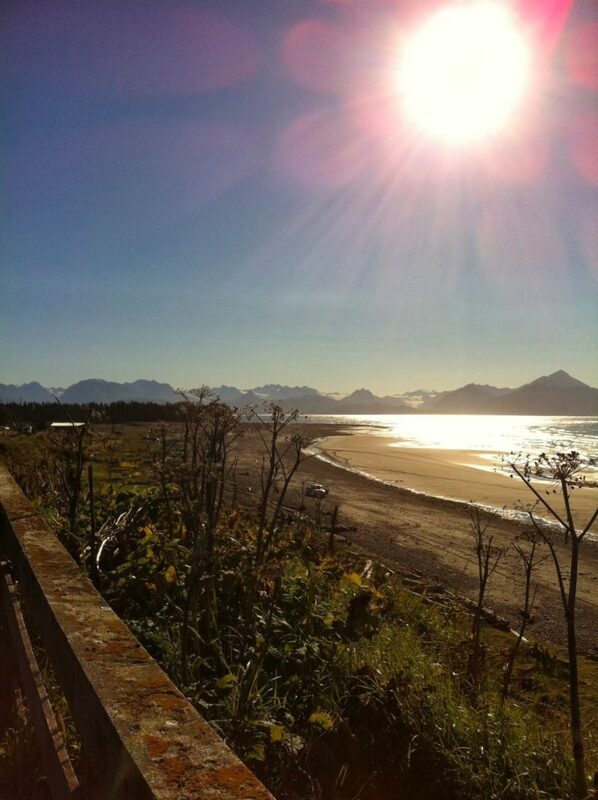 It is in a wonderful wooded neighborhood overlooking Kachemak Bay. It was a comfort to know after a long day of learning that we would return to a cozy lodge-like home, wonderful hosts, and breath-taking views of the moon overlooking glaciers. Lori Roth of Susitna Sunsets B&B is one of the Innkeepers of Anchorage Alaska Bed & Breakfast Association and serves as President of the AABBA. This entry was posted in Attractions, B&Bs, Fall, Things to Do and tagged Attractions, B&Bs, Fall, Things to Do by admin. Bookmark the permalink.